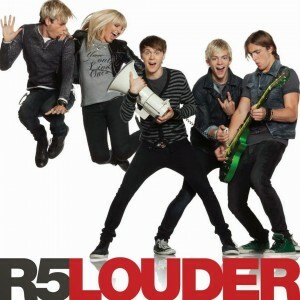 According to our own information, American pop quintet R5 (made up of siblings Riker, Rydel, Rocky and Ross Lynch and their friend Ellington Lee Ratliff) released their ‘Loud’ EP here in Australia in the middle of last year ahead of their August promotional visit, during which they performed for a one-off audience at Sydney’s Metro Theatre. Now it’s nowhere to be seen on our local iTunes store, but it would appear the R5 Aussie buzz is about to get a whole lot (here’s the link) ‘Louder’ (bam! ), with Universal Music servicing the band’s single ‘Loud’ ahead of the release of their debut album ‘Louder’ in early April. The single itself has been doing the rounds since this time last year – as has the official video, while the album is being belatedly released here in Australia, after dropping Stateside in late September. Could this mean another promotional visit is on the cards? There’s nothing confirmed at this stage, but we wouldn’t rule it out.